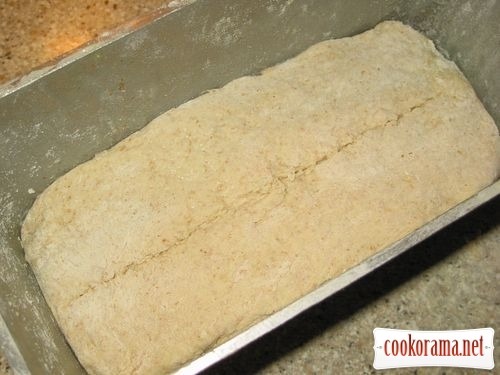 Heat the oven at 200℃, grease forn with fat, cover bottom with parchment. Mix in deep bowl kefir, butter, salt, sugar, sunflower seeds, add half portion of flour, next soda and baking powder, gradually add remained flour and knead dough, it should not be tight, but not sticky. 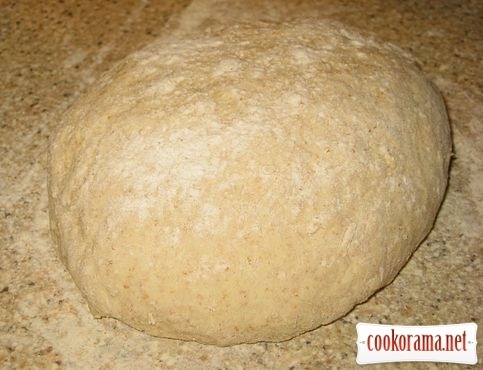 Shift dough in form, make a longitudinal cut along. Put in the oven, bake for an hour. Shift ready bread on stove, cool it covered with clean, dry towel. It`s better to eat such bread the same day, as for the next day it`ll be a bit «weak». 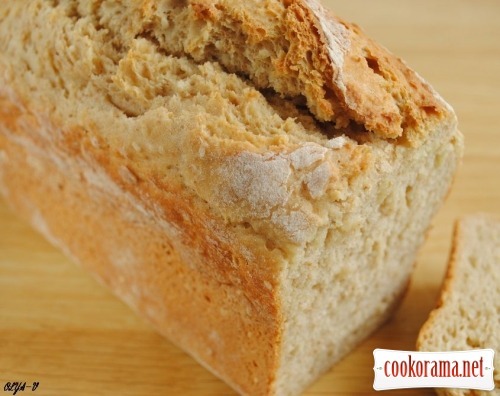 Top of recipe "Non-yeast bread with kefir"
А для чого розріз робити? Печу такий же, дуже смачно. а розпушувач і сода це різне? я думала що розпушувач це сода погашена, не так?